Inspire audiences with vivid 3D* and shadow-free video projections. The short-throw S320 projector offers optional interactive and wireless* capability. Big images in small spaces: Place the S320 as close as 16" (40 cm) to the projection surface. Short-throw projection enables shadow-free images. 3D capability: Amaze your audience with the 3D-capability of the S320. Interactive and wireless options: Add optional interactivity, wireless connectivity and network management features now or in the future. 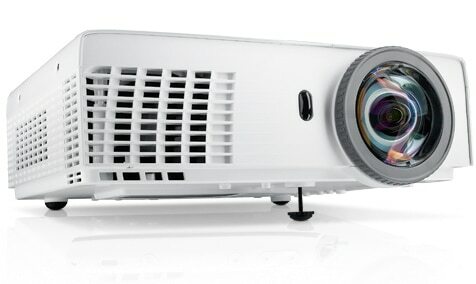 Get close: Place the S320 projector as close as 16" (40 cm) to the projection surface. Reduce shadowy images with short-throw projection. 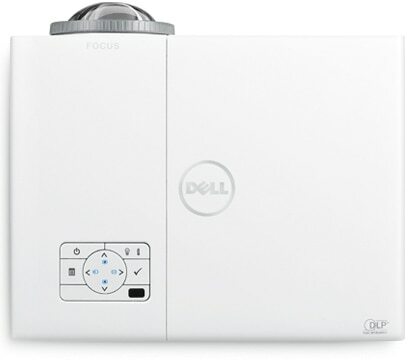 Project in 3D*: Make a bold statement with amazing 3D imagery when you present with the S320 projector. Add interactivity and wireless collaboration. The optional Management-Over-Network (MON) module kit helps enable Crestron Roomview compatibility and remote control of your projector via LAN. To enjoy both MON and projection via LAN functionality, you can opt for the optional Wireless/Projection-Over-Network (MON) module kit. Help save energy: The S320 features an easy-to-use top-load lamp-replacement design. Keep costs low with a long lamp life – up to 3,000 hours* in normal mode and up to 4,000 hours* in Eco-Mode.